This week is Bear Week! Not only am I excited about our featured book Bear Snores On by Karma Wilson, but we are also excited that Paddington 2 is coming soon to theaters! Bears are the cutest and Paddington is adorable. 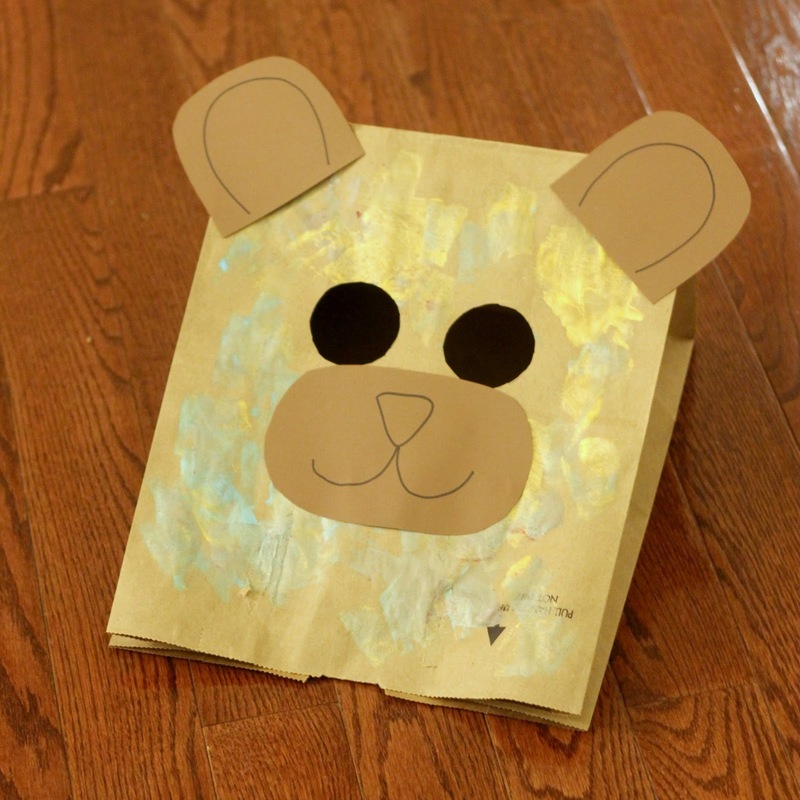 We love love Bear Week because bear themed crafts and activities are adorable and the perfect thing to learn about during winter time! I only wish that I could hibernate too! We shared several Bear activities in our Weekly Toddler Approved Newsletter. Bear Snores On by Karma Wilson is such a fun book with a cute story. It also is a simple way to introduce hibernation to little ones. Start by cutting out some eyes out from the brown bag. Next, get some paint and let your little one add some texture to the bear! We wanted the bag to feel more like fur, so we painted it and added some dimension to the brown bag. My toddler had so much fun with this part. We is obsessed with painting. She wanted all sorts of "non-bear" colors... but we went with it. I loved the shimmery gold she added. Next, cut out some ears and a mouth and tape them on! My toddler called our bear a dog once it was a done... so I am not sure if my artistic skills are up to par, but my 5-year-old seems to think it looks like a bear. Once the mask was dry, we tried it out! My toddler was a little bit too tiny for the bear mask. She tried to hold it onto her head, but she was more interested in seeing someone else wear it than wear it herself. My 5-year-old modeled the bear mask for us instead and loved trying to peak through the eyes holes so that both eyes could see me. Now I think it is time for us to build our bear cave and hibernate! 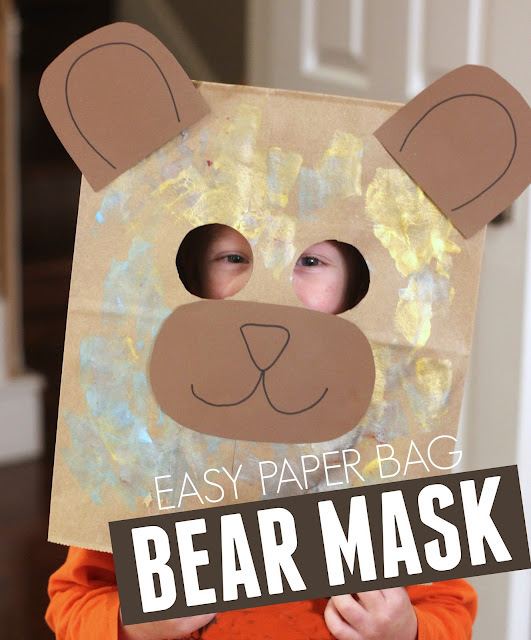 You can find three of our other favorite bear crafts and activities here.